After four years on the job, City Council's first inspector general, Faisal Khan, is leaving his post, but the work he and his staff has done will not be lost. Late Friday, the FBI showed up to his office with a subpoena and hauled away Khan's files and computers with information he gathered on the aldermen over the four years. Khan left his position expressing disappointment in the mayor and the aldermen, who he said stood in the way of his office's work. "We reported back to the very people we oversee. That's equivalent to the inmates running the asylum," Khan said. 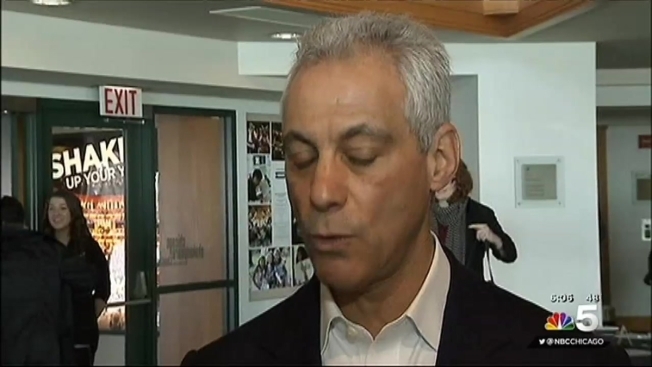 Mayor Rahm Emanuel said the city will not return to the days without an inspector general, but when Khan asked Emanuel to help him resolve some issues, he said he only received "radio silence." During Khan's four years in office, Emanuel never once met with him. While City Council approved hiring an inspector general to oversee the aldermen, they have blocked nearly every investigation. The inspector general's office recently discovered that 29 different aldermen circumvented the law by taking campaign contributions from vendors, developers and lobbyists. Only a month later, Khan was out of a job. The subpoena from the FBI, however, will ensure that Khan's work doesn't leave with him. On Friday, three FBI agents left Khan's office with a van full of computers and files. "We would like to see the results of our work, to see if they lead to the appropriate conclusion," Khan said. Upon his departure, Khan said he wished his successor "a lot of luck" but fears an insider will take over the position. The city says a blue ribbon panel will make the selection.